What would you do? 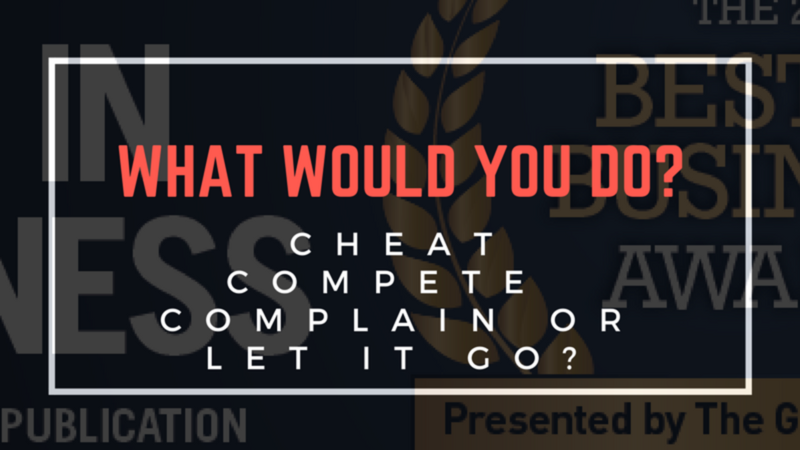 Cheat, compete, complain or let it go? Would you cheat as well? Would you try to compete, knowing that others are cheating? Or would you let it go? On the eve of a prestigious local business award night, I withdrew my first business nomination from the competition in adoration for my own social ethos and that of the local communities as well.